I still recall the first time we purchased a child car seat for our first child and all the research we did, reading various baby car seat reviews looking for the best baby car seat. It was quite daunting working out not only what was the best newborn baby car seat but also which was the safest baby car seat to provide us with some peace of mind. Fast forward a few years, and three children later, we have now used a variety of different car seats from various baby car seat brands. So, to help new parents looking at purchasing a new baby car seat for either their first child or even subsequent children, I have put together this baby car seats Australia guide to assist you in deciding which is the best infant car seat for you and your child. In this guide, I not only take you through the features of some of the top baby car seats but also help you understand what to look for to ensure you have the safest infant car seat. I also provide a simple baby car seat comparison chart, so you can see the prams, their various features side by side and baby car seat ratings. Click here to see the best baby car seat to top our list now. This best baby car seat 2019 guide focuses on baby convertible car seat options suitable for children under 4 years old. All the car seats in this guide are suitable for a newborn right through to around 4 years of age, as there really is no need to buy multiple car seats as your little one grows. I hope after reading these child car seat reviews you will be closer to purchasing the best child car seat for you and your little one. Here’s a handy reference list – see all baby car seat reviews below! It is highly recommended that you spend some time thinking about the requirements you need in a car seat before rushing out to a baby car seat sale and purchasing one of the cheap baby car seats. We did this the first time and then ended up with a seat that only suited our child for a short time. A good quality car seat is not a cheap investment but if you choose wisely it will not only help protect your child but also last them until they can transit to an adult seat belt. Consider the size of the car seat you purchase. This will be more important if you have multiple children in car seats as you will need to ensure the car seats adequately fit in your car. If you require multiple car seats, whilst it is recommended that you buy baby car seat that is narrow and compact, this needs to be weighed up with the comfort for your child. Like car seats, children come in all shapes and sizes, so don’t just look at the baby car seat price, also be sure that the car seat is a good fit for your child, and not just for now but that they can grow with the car seat too. I recommend you purchase a car seat newborn to 4 years option to get the best value for your money. The weight of the car seat may not be important if you intend to leave the car seat in the one car, but many parents these days have one parent drop their child and the car seat at child care in the morning and a different parent picking up the child and car seat in the afternoon. In the latter situation, you either want two car seats or you want something lightweight that’s easy to move around, particularly as you may well be carrying baby in one arm and the car seat in the other. I don’t necessarily recommend you purchase the lightest car seat you can find, however, as the quality should not suffer. I have listed the weight of all the child car seats for sale in these convertible infant car seat reviews in the above table. Be sure before purchasing a car seat that it is suitable for the age, weight and height of your child. Newborn babies will need to be placed in a rear facing baby car seat (all car seats in this review are suitable for newborn babies). Once your child grows to a certain height the car seat can be turned around into the forward facing position. Car seats are designed for children of a certain weight and height, as opposed to their age. Check that the maximum weight and height limits of the car seat is not only suitable for your child now, but that there is room for your child to grow. You might think your saving money with a cheap newborn car seat, but you may find you will soon need to replace it as your child grows. A harness system offers a much higher level of protection in a crash then a standard vehicle seatbelt. A correctly fitted harness system results in a far better outcome for the child in the event of a crash. Car seats come with either a 5 point or 6 point harness system. The 5 point system has five straps: two at the shoulder, two at the hip and one at the crotch where as a 6 point harness system features two straps at each the shoulder, waist and crotch. Of course, when purchasing a car seat, your child’s safety is the utmost important factor to keep in mind. The whole point of a car seat is to protect your child in the case of an accident, so you want to ensure the car seat can do just that. When it comes to child car seat safety, Australia has very strict laws and guidelines. All car seats sold in Australia must meet the Australian safety standards AS/ANZ 1754. Newer car seats are generally ISOFIX compatible. ISOFIX is a simple car seat installation system that involves clipping the car seat into anchorage points which are manufactured into cars. This system is much easier to install then the old car seat belt system. However the seat belt system is just as safe provided it is done so correctly. Some car seats can be tricky to install so look for a car seat that is not only easy to install but also easy to change from the rear facing to forward facing position. Given babies and toddlers are rather messy it is also recommend looking for a car seat that has machine washable removable fabrics. Colour – Whilst you might be tempted to purchase a brightly coloured car seat, infants and toddlers are usually extremely messy and so it is highly recommended that parents stick to the standard black or grey car seat. We learned this the hard way when we bought a yellow car seat. Tray/Cup Holder – Some car seats come with a tray or cup holders for little ones to eat and drink from. Tray holders can also double as somewhere for older children to do activities or read a book during long car rides. Seat Recline – Reclining car seats are perfect for little ones who often fall asleep in the car as they have the ability to recline for a better position for sleep. Thus, preventing your child’s head from flopping forward. Anchor Points – Before purchasing car seats, you need to ensure your vehicle has the correct number of anchor points to secure the car seats. If you purchase an ISOFIX car seat you will also need to check your car is compatible. Overall Design – The overall design is also important, particularly if you need to have multiple car seats. If your car is on the smaller side, you will need to look for narrow car seats to ensure you can fit the required number across. It is also recommended to look for car seats that will grow with your child. There is no point purchasing one of the cheap infant car seats, only to replace it when your child gets a little bigger. The Maxi Cosi Vela convertible car seats is the perfect car seat for newborns up to children around the age of 4 years of age. This car seat is easy to install and the functional levers and straps make it really easy to use. The harness height can easily be adjusted without the inconvenience of having to remove it from the car. For your child’s comfort, the car seat is made from a cool wicking fabric to keep baby nice and cool. There are also 3 adjustable reclining positions and 5 adjustable headrest positions. For superior safety, this car seat also has extended rearward facing up to around 30 months as well as superior side impact protection. The manufacturer will even replace the car seat for a new one if it’s involved in accident. Other great features include ISOFIX compatible, removable infant insert, machine washable cover and car seat protector mat. This car seat features a 6 point harness system and is backed by a 10 year warranty. It also comes in blue, black or grey. The Safety 1st Summit Convertible car seat is another great car seat for families looking for a car seat that can grow with their child. This Safety First car seat is suitable from birth to around the age of 4 years and features an adjustable headrest and 3 position recline. Parents will love the natural antibacterial protectant on the harness pads and infant insert that inhibit the growth of bacteria whilst little ones will love the padded and cosy feel. Other great features include ISOFIX compatible, superior side impact protection, machine washable cover and the manufacturer will even replace the car seat for a new one if it’s involved in accident. This car seat is somewhat similar to the Maxi Cosi above. However, this car seat can only be used in rearward facing position until the child is around 12 months and has a shorter warranty at 6 years. This Britax baby car seat is one of the safest convertible car seats in these reviews. A stand out feature is the high performance padding and safety functions. This Britax infant car seat has an in-built push button harness adjuster, which makes for easier installation as well as a secure and correct fit for a safer journey every time. There are also side impact cushions and head protection technology (SICT) with deeper side wings all providing support and protection by absorbing energy during a crash. Additional support and comfort features include shoulder pads, adjustable harness and headrest as well as 2 recline positions. This convertible car seat is also super easy to install with the Eazy Buckle insert. A top rated baby car seat indeed. Chicco is known for being one of the great baby car seat brands and the GRO-up 123 car seat lives up to its reputation. This car seat is super easy to accurately install and has an easy to pull harness to ensure your child is safe and secure in their seat. If you are installing by using the vehicle seatbelt, the LockSure technology makes it easy to position, tighten and lock the belt into place. This Chicco car seat has some great features for your child’s comfort including 2 recline positions, adjustable headrest and an auto adjustable harness system so you can adjust the height of the car seat as your child grows. This car seat is jammed packed with safety features including an easy to read bubble indicator to ensure the seat is leveled correctly and a steel reinforced frame with EPS foam lining – both of which absorb the energy on impact in an accident. Other great features of this car seat include zip off machine washable cover and an infant insert. At just over 6kg it is lightweight and certainly isn’t bulky. The ISOFIX compatible Maxi Cosi Moda is suitable from birth to approximately 4 years of age with the extended rearward facing ability for infants up to 30 months. The safety features of this car seat include side air protect technology, giving great impact protection, and crash absorbing technology that provides a crumple zone for full body protection. The car seat also features a 6-point safety harness and top tether strap and the manufacturer will even replace the car seat for a new one in the event of an accident. For comfort, the car seat is made from a wicking fabric which draws moisture away from the skin keeping the child cool. There are also 5 adjustable headrest positions, providing optimum fit for the child as it grows. Other great features include removable infant insert, machine washable cover, car seat protector mat, padded belt mates and a lifetime warranty of 10 Years on the shell and 3 years on the fabric. At 8kg, this convertible Mothers Choice child car seat is lightweight among our baby car seat comparison reviews. With a mixture of great safety features, the car seat provides you with peace of mind while you’re on the go with your child. These safety features include multi position headrest and recline, impact absorbing base, side impact protection technology and the minimising of seat rotation. For comfort and support there is a foam padded and fabric seat and, as this is a top rated convertible car seat, can be used forward or rear facing for both young and old babies. The Mothers Choice Avoro car seat is another great choice for families. Britax claim that this ISOFIX compatible Safe N Sound Platinum convertible car seat is their most advanced car seat yet. THe ISOFLEX connectors make it super easy for parents to install this car seat in their vehicle whilst the push button harness makes it simple to ensure your child is properly secured. The car seat also features side impact technology which provides head and torso protection and minimises energy impact to your child in the case of an accident. The car seat also features deeper side wings which shield your child’s head. There is the option to have your child in the rear facing position longer as your child can remain in this position up until the ages of 2-3 years old. Other features include shoulder pads, an adjustable harness and headrest together with the 4 recline positions providing support and comfort to your growing child. The Platinum PRO SITC is available in 2 dark easy to maintain colours, with a full length car seat protector, handy storage pocket, and a colourful holder a dummy clip or toys. Yet another MAXI COSi car seat, the Vela Slim convertible car seat is ISOFIX compatible and a Maxi Cosi slim-line car seat. 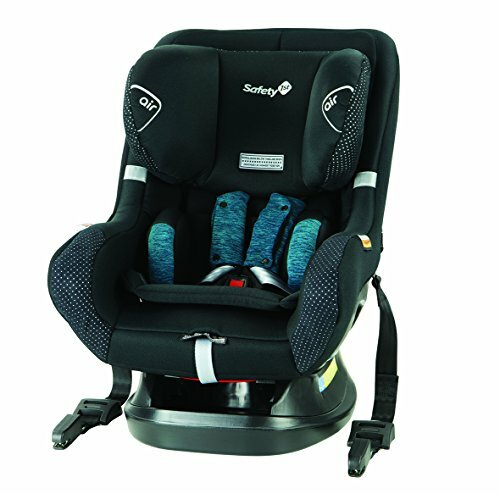 Safety features of the MAXI Cosi include crash absorbing technology for full body protection and superior side impact technology to protect your child’s head. The car seat also has a 6-point safety harness and top tether strap in order to safely secure your little one, while the latch system makes installation a breeze. The height adjusting harness is very easy to operate with one hand, as are the 5 adjustable headrest positions. Other features include removable infant insert, machine washable cover, padded belt mates and car seat protector mat. The car seat also has 3 adjustable recline positions. The MAXI Cosi comes with the lifetime warranty of 10 years on the shell and 3 years on the fabric with the bonus of the accident exchange service. For those looking for one of the great quality child car seats, the Infa Secure Grandeur Astra Convertible Car Seat makes a great choice. This car seat features advance air cushion system providing full body side impact and head protection. It also include a strong padded safety harness system which is easy to adjust whilst your child sits in the seat. Our tests found this car seat is also easy to install and re-configure with its easy to use latches. This convertible car seat is rather heavy at 11 kg but also proves to be one of the strongest. However, the downside to this car seat is the price. It’s certainly not cheap, but well worth it as you can use it from newborn to 8 years old. The Infa Secure Quattro is another great option from Infa for families looking for a quality convertible car seat. Weighing in at 14 kg, this is the heaviest car seat in our baby convertible car seat reviews, but has the potential to follow your child from the youngest years to the time where they no longer require a car seat. It’s that good. Our baby car seats reviews found this convertible car seat best for small cars or if you have three kids as it is a super slim 42cm. It is officially rated as Australia’s slimmest car seat. The car seat is easy to use and install, with a simple twist and lift system for convenient usage, Air Tycoon Technology for maximum side impact protection and a protective, easy to clean fabric. The cover can even be removed and machine washed without having to remove the car seat. This car seat also has multiple levels of recline and is adjustable for the youngest years to the oldest. It is one of the best car seats for babies Australia offers. Looking for other baby products? Read about the best pram here and other kids guides here.